While fire suppression is extremely useful and necessary, it can cause a buildup of underbrush, which can make wildfires larger and more powerful than seen previously. The United States Forest Service’s Fire Sciences Laboratory in Missoula, Mont., has been providing the forest service with research and development since 1960. As the only federal research lab focused on wildfires, its research directly aids in the management of wildfires not just in the Rocky Mountains region, but across the U.S. and even internationally. 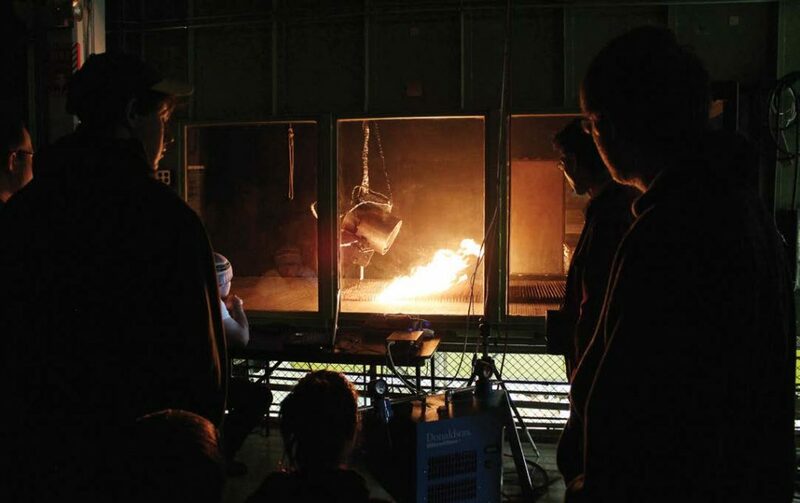 With approximately 65 year-round employees and between 10 to 15 research scientists, the Fire Lab studies the science of wildfire ignition, behavior and spread. 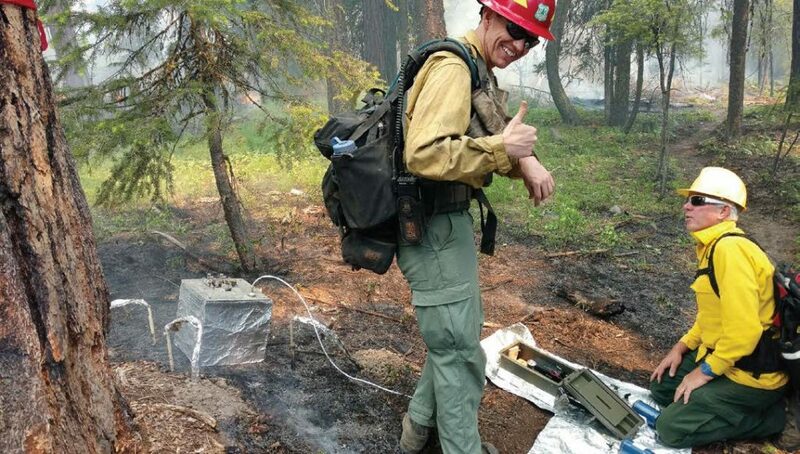 Greg Dillon, acting deputy program manager, described the variety of components that goes into wildfire studies such as those who study fire ecology or “the dynamics of fuels in those environments.” Chemists and atmospheric scientists focus on how wind flow affects a wildfire. The lab uses a burn chamber and a wind tunnel in order to study these aspects. Dillon remarked, “Lightning is the most common natural cause for wildfire.” While ecosystems are traditionally adapted to wildfires, even they are now being affected. “Increased amounts of fuels burn so hot that it can remove the seed source, which would normally naturally repopulate the area,” he revealed. As the human population grows and begins moving into the woods and forest, the effects of wildfires are becoming more of a concern. Previously a fire would have simply burned through an uninhabited area, but today it is burning down homes and buildings. Part of the Fire Lab’s research focuses on the hazards and risks wildfires pose on communities. Due to close proximity to burnable fuels and vegetation, towns are suffering the loss of items and buildings. However, it is something that those living in western communities must learn to live with. Homeowners can help protect themselves by creating their own defensible space around a home ignition zone. This includes cleaning the gutters, roof and yard, removing flammable vegetation around the home and keeping tree branches trimmed back at least 10 feet. “Remove as much of a threat as possible from homes and structures so they don’t have direct flame contact,” he stated. This should all be done within Zone 1, or within the first 30 feet from a home. Zone 2 involves the space 100 feet from any structures. Keeping grass mowed to a maximum height of 4 inches and practicing both vertical and horizontal spacing are both key. When it comes to horizontal spacing, a minimum of 2 feet between shrubs and 10 feet between trees is necessary depending on the slope. The steeper the slope, the more horizontal space is needed. Vertical spacing between grass, shrubs and trees should include a minimum clearance of 6 feet between the lowest tree branch and the ground or top of a shrub in close proximity. Installing a metal roof, for instance, can help protect the structure from ember showers. Certain fire-resistant landscaping plants can be ideal since they are also drought resistant. Some of these plants include aloe, rockrose, hedging roses, bush honeysuckle, sumac, red monkey flower, California fuchsia, California lilac, California red bud and coreopsis. Maple, poplar and cherry trees are also suggested over pine or fir trees. Utilizing these methods, “wildfires will exist, but it’s not going to result in tragic outcomes,” Dillon said. Last year’s wildfires have been compared with the 2001 Christmas wildfire tragedy in Australia since California has vegetation and a changing climate similar to Mediterranean countries. Dillon also mentioned a surreal and eery similarity between the 1910 Rocky Mountain Fires, which wiped out entire “towns” that had been built up, and the 2018 Camp Fire, which destroyed a large proportion of Paradise, Calif. The Camp Fire is considered the deadliest and most destructive California wildfire to date. Recently the Fire Lab has studied some of the most devastating wildfires that burned throughout California in 2018. 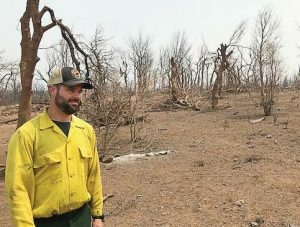 Jason Forthofer, a mechanical engineer with the Fire Lab, particularly studied the atmospheric factors that led to a fire tornado during the Carr Fire near Redding, Calif. Starting on July 23, 2018, a 54 degree difference was observed between the coast and Sacramento Valley. 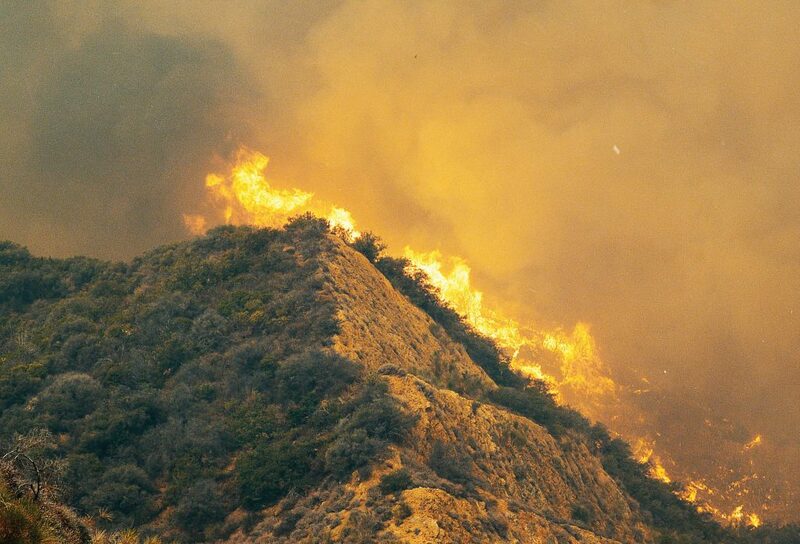 The wildfire was driven by a combination of fuel sources and wind. Fire whirls between 2 and 10 feet are considered fairly common occurrences. Even larger fire tornadoes happen each year, though typically in remote locations; however, there are documented cases of fire tornadoes in both 1949 and 2008. “It is fairly rare to have fire tornadoes with multiple firefighters seeing it and essentially burning in a city,” Dillon explained. Major fire runs occurred with the Carr Fire moving at 25 mph. Near Redding, the wildfire experienced the right conditions to create a powerful fire tornado, which was 1,000 feet in diameter at the base, approximately 40,000 feet high with peak gas temperatures likely exceeding 2,700 degrees Fahrenheit and winds between 136 and 165 mph, the same as an EF-3 scale tornado. 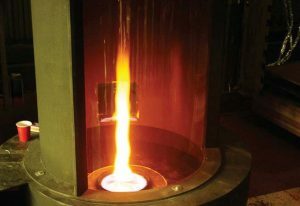 In order for a fire tornado to erupt, there must be high-energy release rates, sources of rotating air that were likely caused by the hydraulic jump phenomenon and low to moderate general winds. Fire tornadoes are so worrisome because they retain energy, are highly unpredictable and can move independently of the wildfire. As wildfires in urban areas become more prevalent, the work of the Fire Lab is becoming increasingly important.